The bride, the white dress, the beautiful way she looks on her wedding day as you see, as one of the best wedding photographers in Hilton Head, Sc. 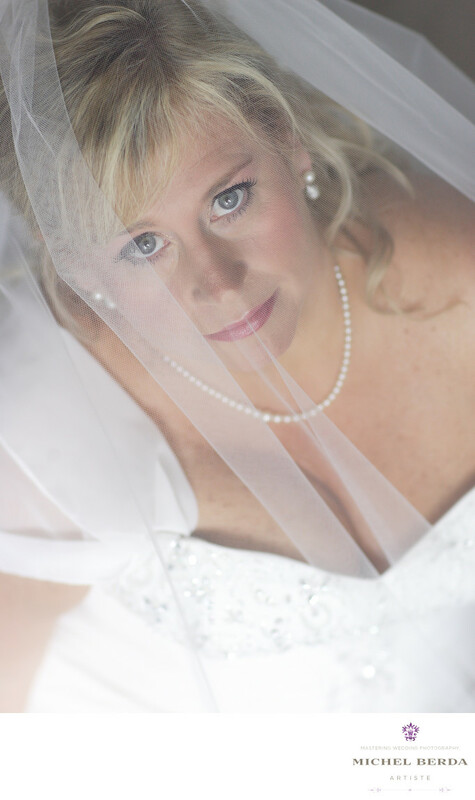 I have a great passion for capturing great bridal portraits during or before the wedding. You have to be creative and believe in yourself, your clients are hiring you for this day to capture amazing wedding photography, and they know that I am one of the best wedding photographers in Hilton Head, Sc. That is why I capture many destination weddings especially in Hilton Head, Sc. You have to think outside of the box and create artistic bridal portraits, this is why I love using window light when I can, I also love to have the perfect lens to do that with. That is when my 85mmL Lens comes into play. I have photographed many bridal portraits images with that scenario. Take this image for instance when I saw this bride, and the potential for a great bridal portrait image, that is exactly what I did, by putting the bride by the window, using that light getting the right angle and capturing what I believe is a perfect portrait and that moment of her reflection from her wedding day.Keywords: Bridal Portrait Wedding Photographer (3), Destination Wedding Photographer (117), Hilton Head (75), sc (309), south carolina (24), The Westin Resort & Spa HHI (27), The Westin Resort & Spa in HHI Weddings (27), Wedding photographerIn Hilton Head (6), Wedding Photographers (198), Weddings (168).